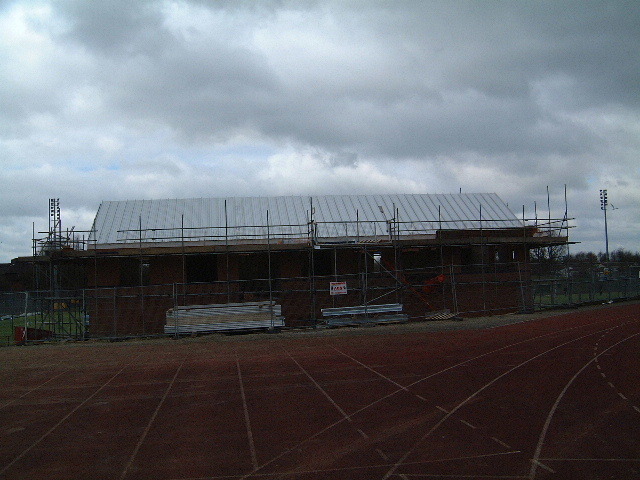 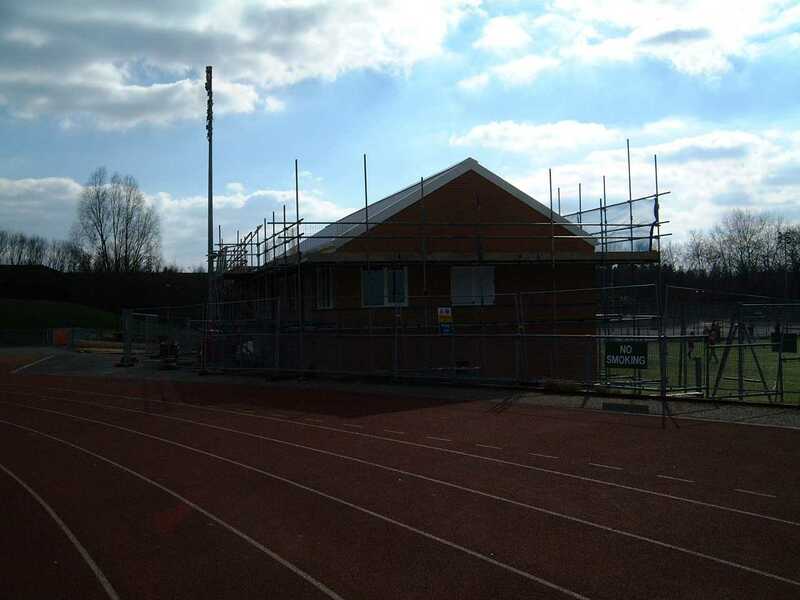 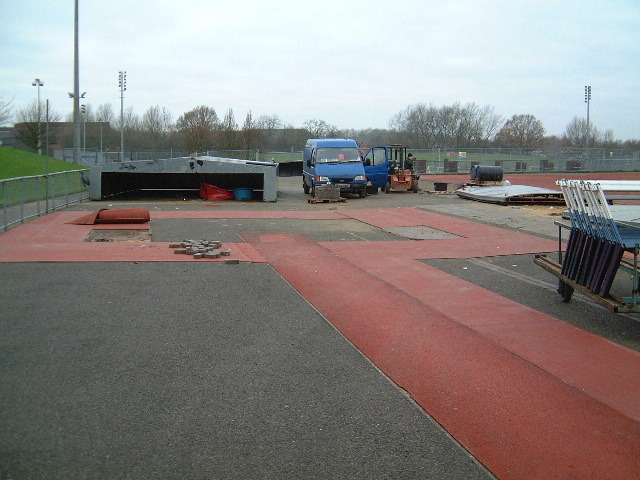 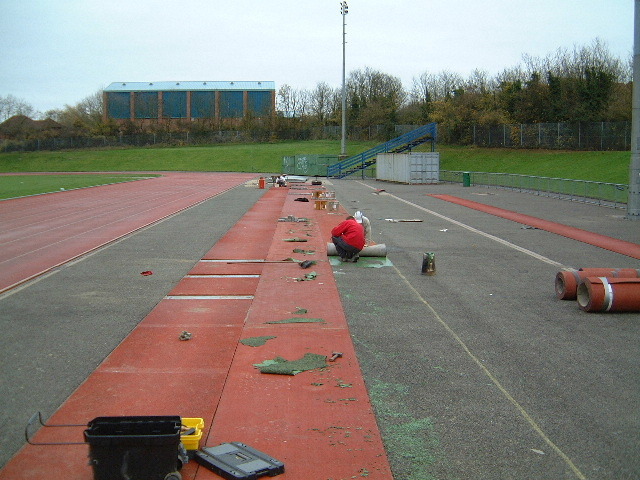 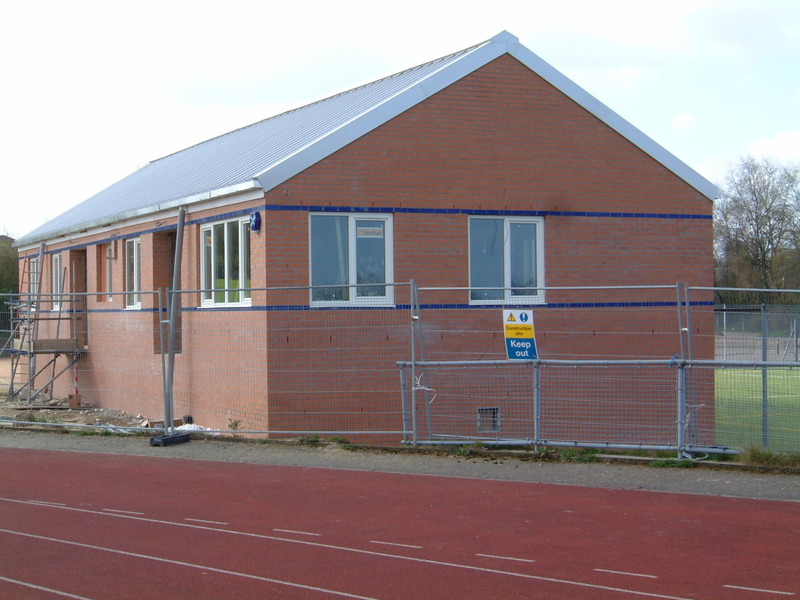 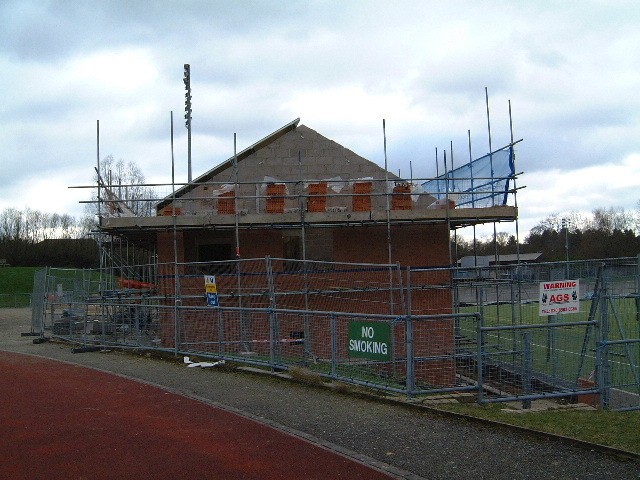 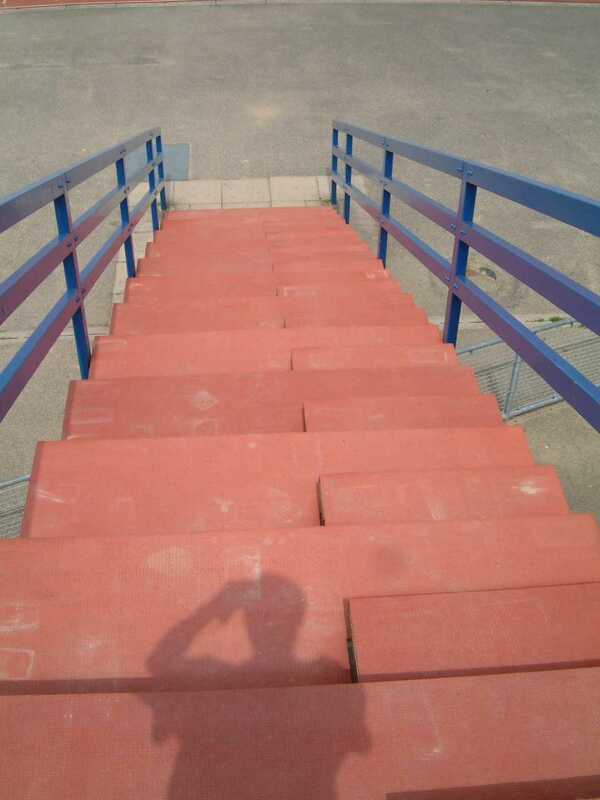 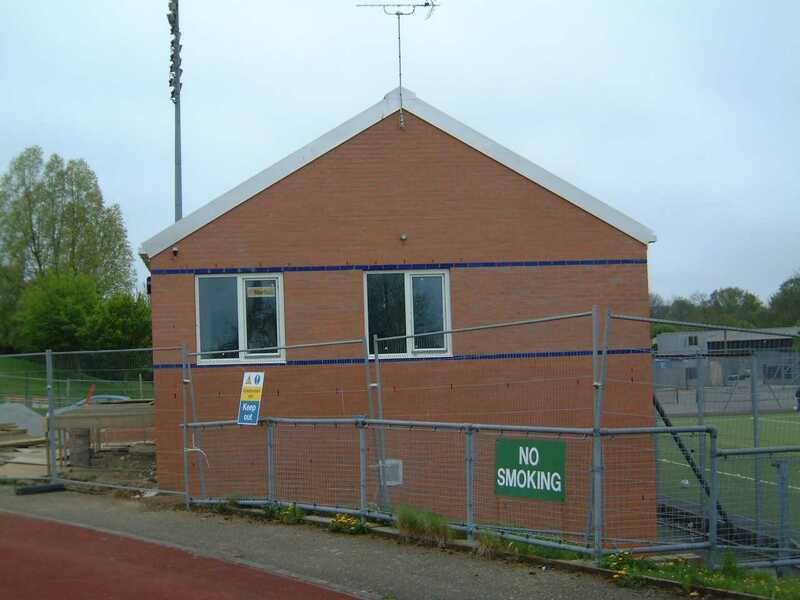 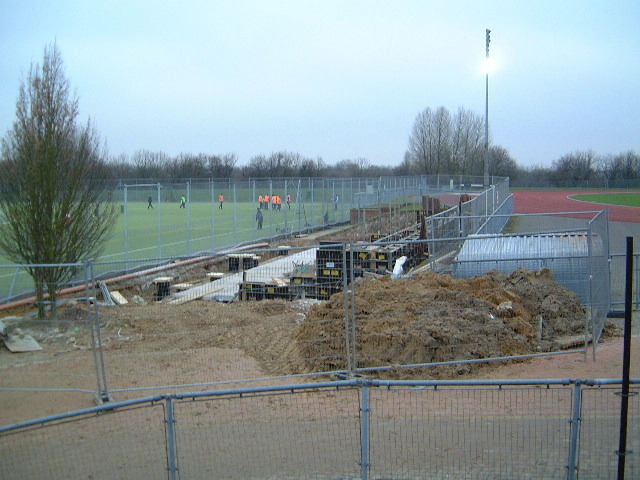 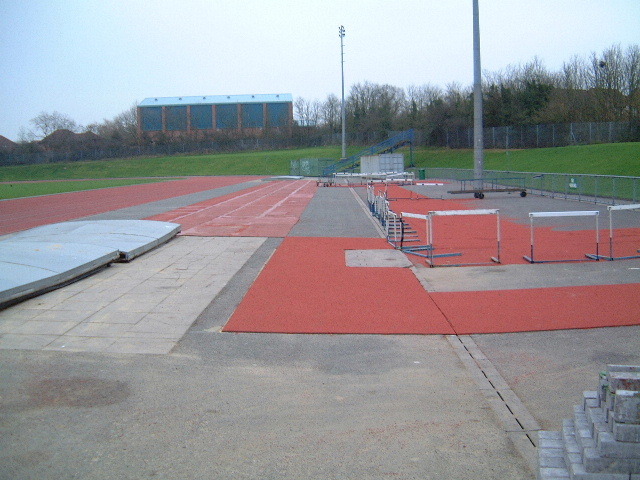 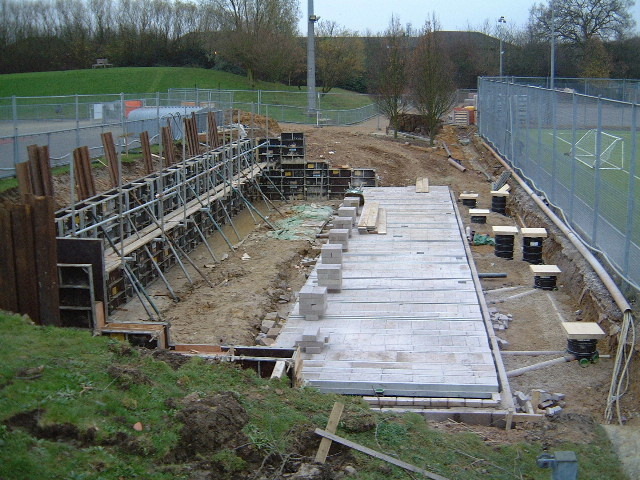 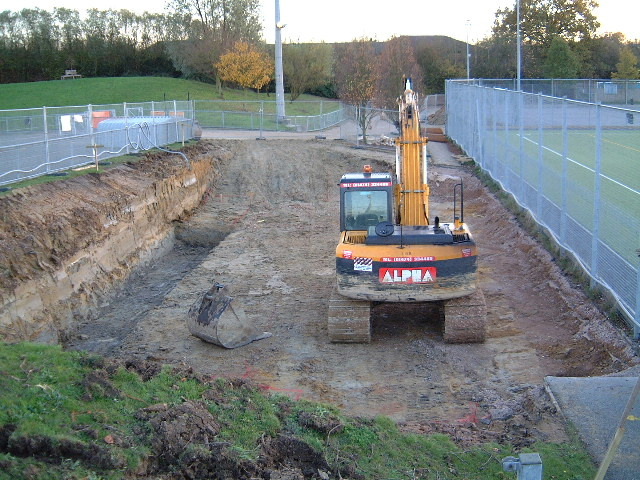 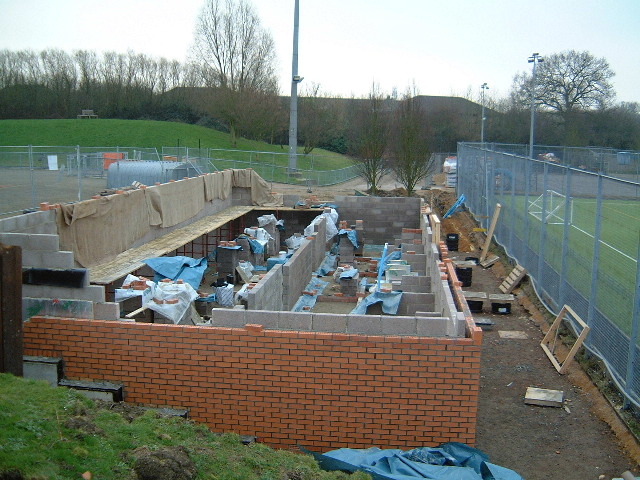 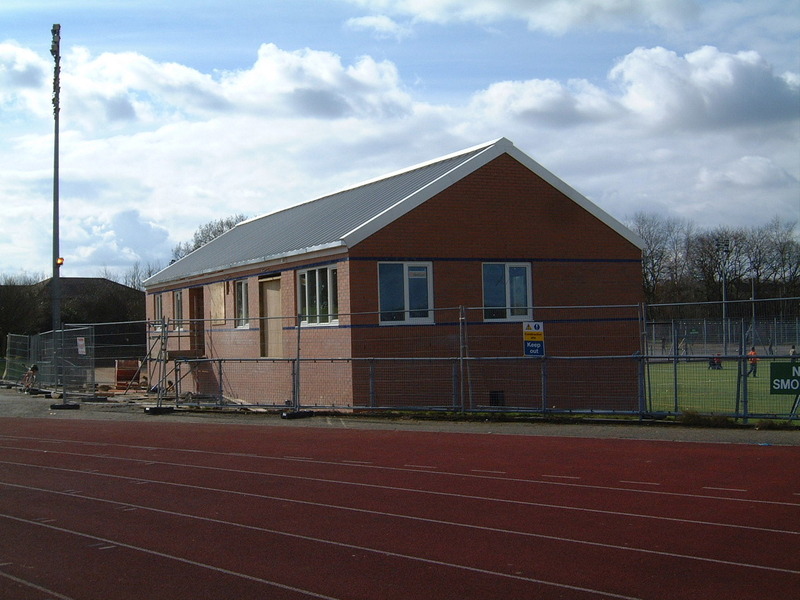 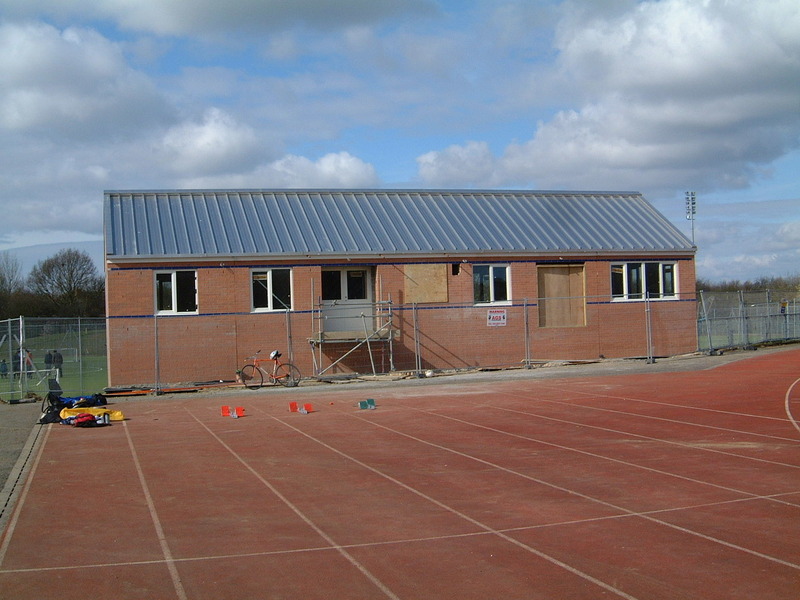 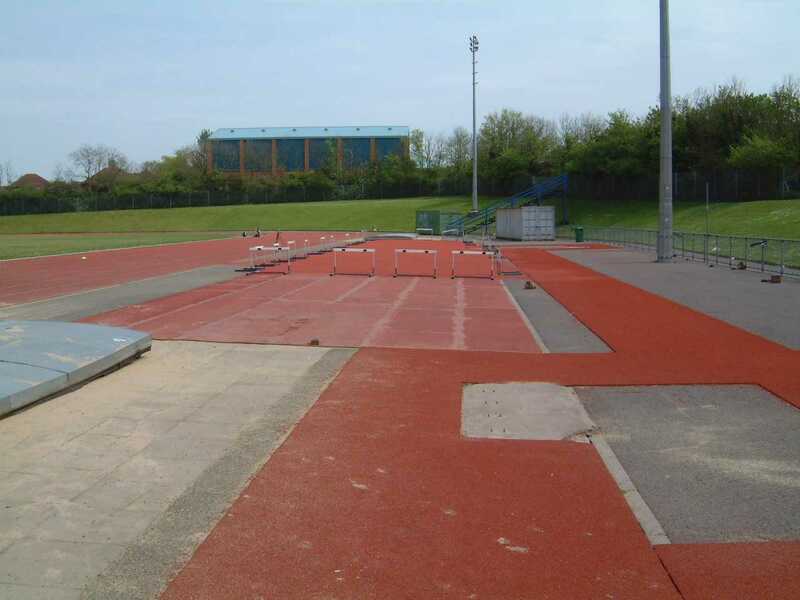 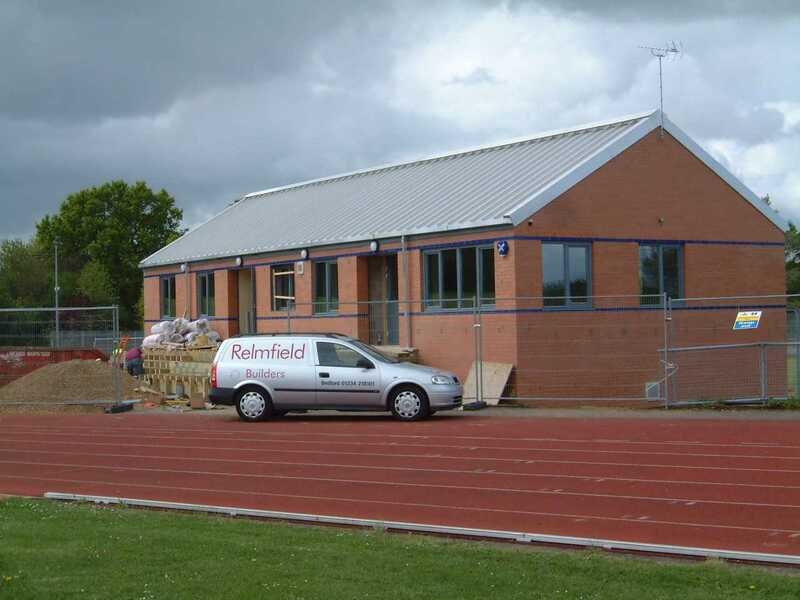 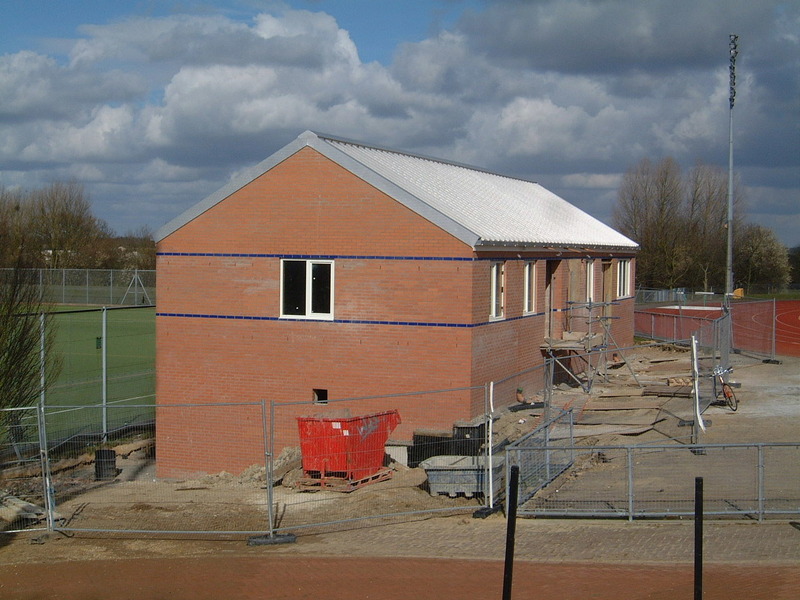 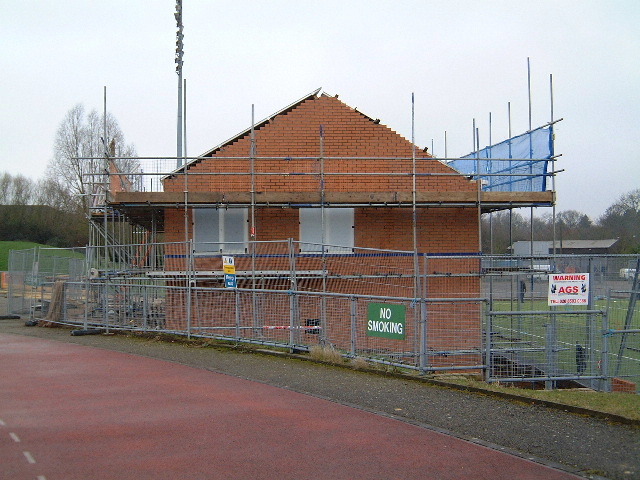 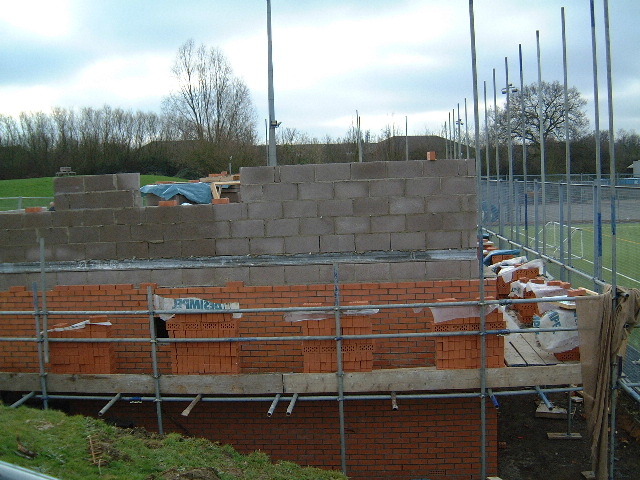 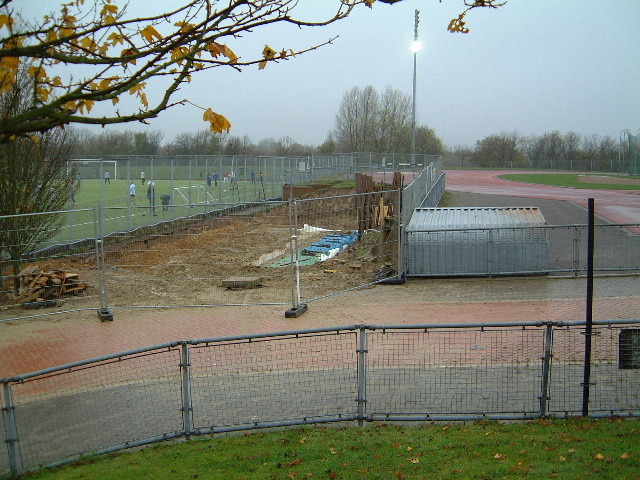 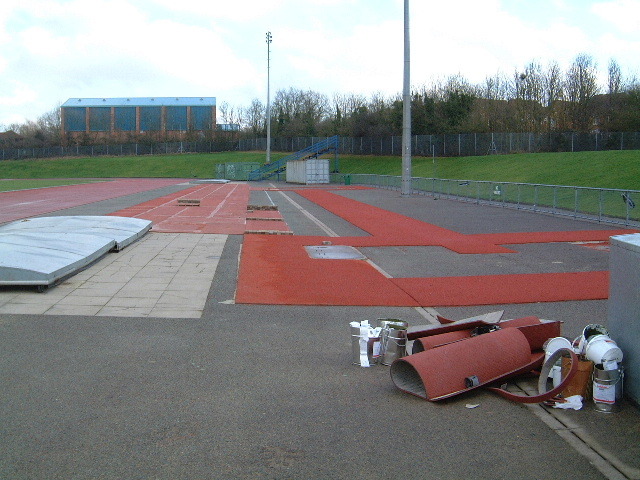 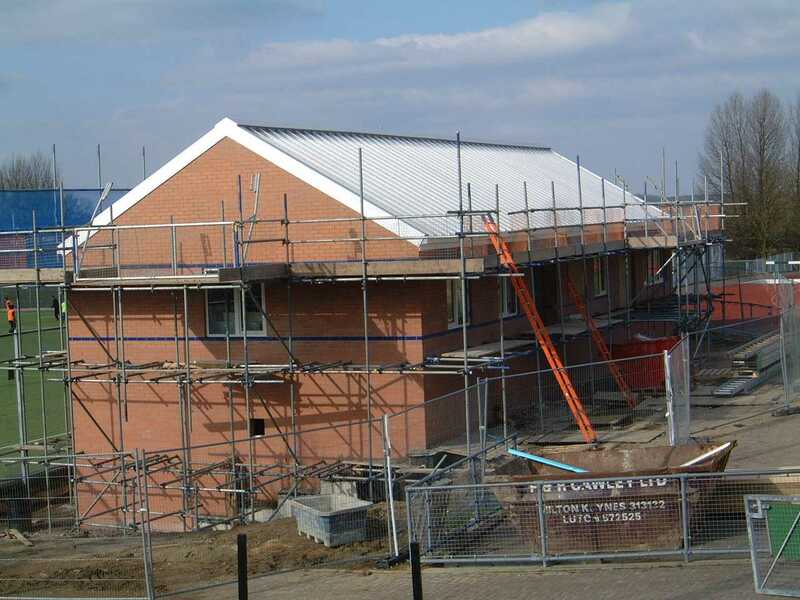 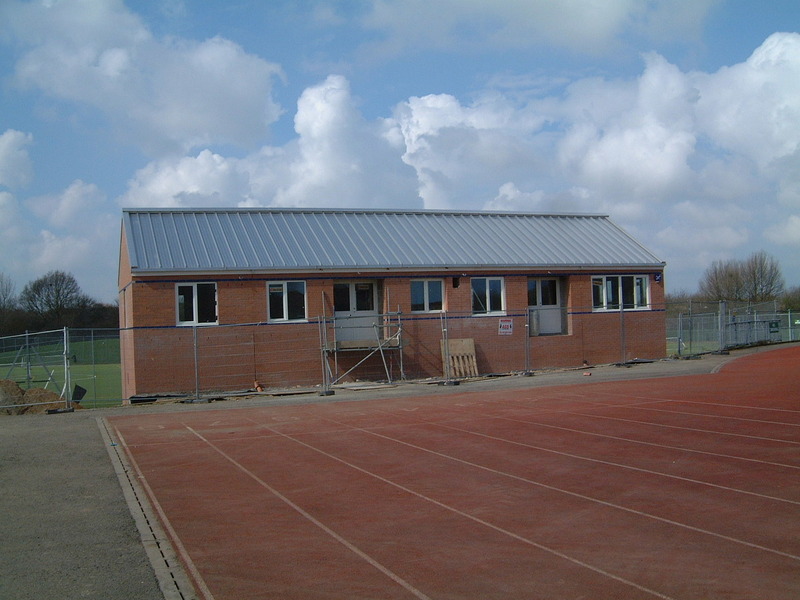 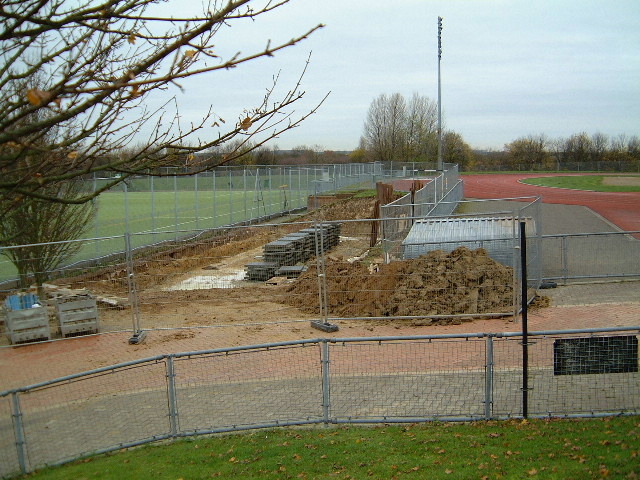 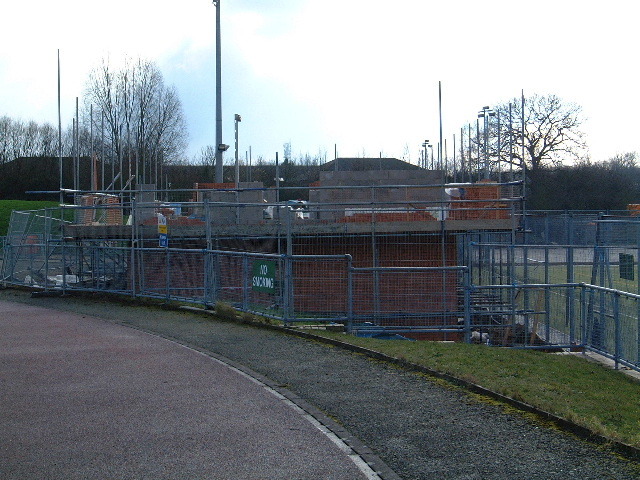 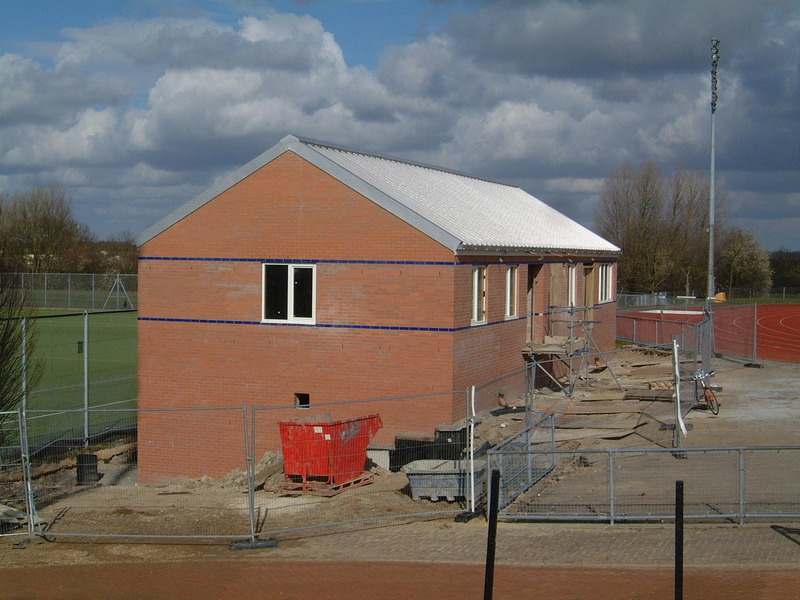 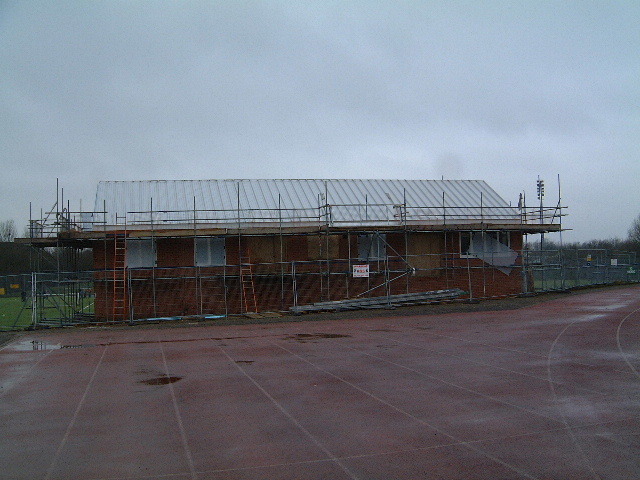 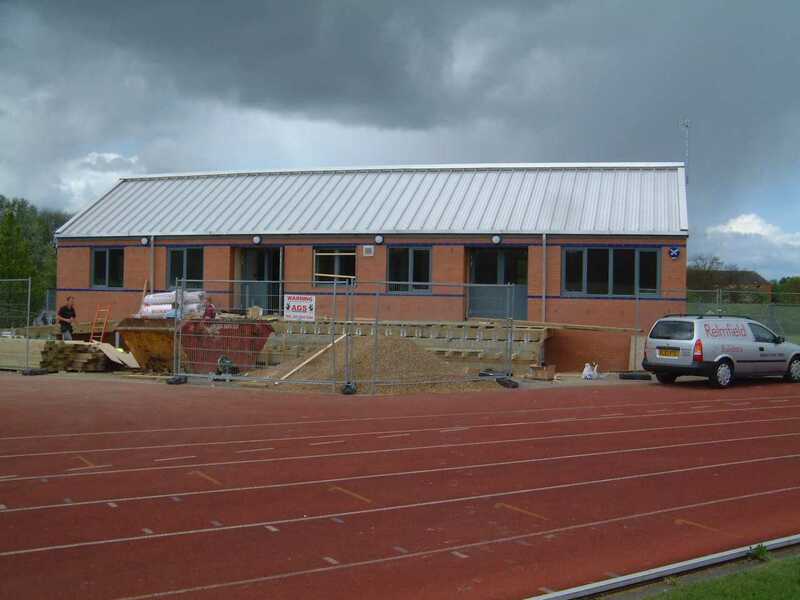 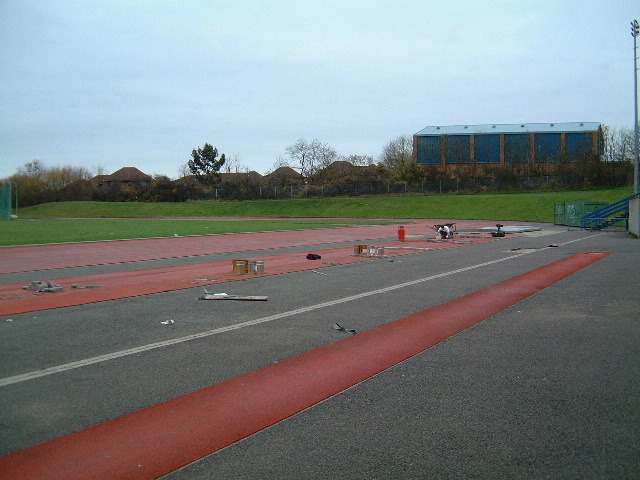 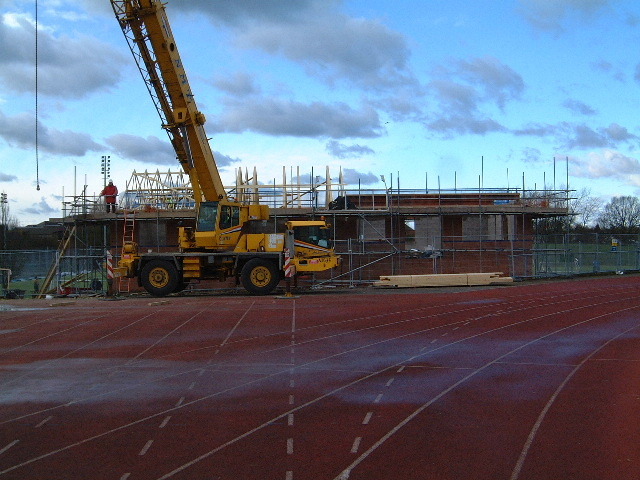 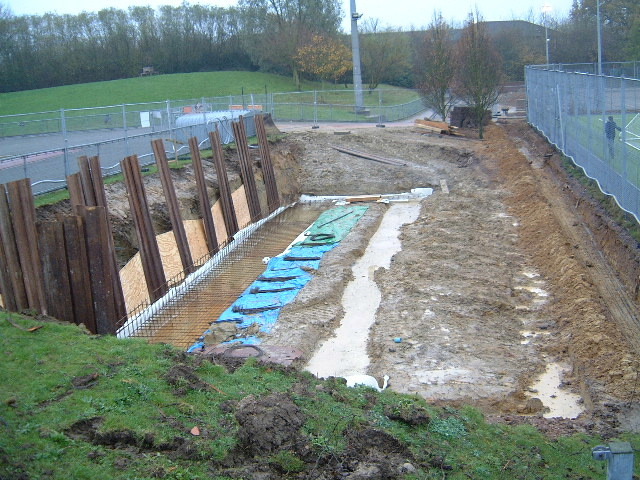 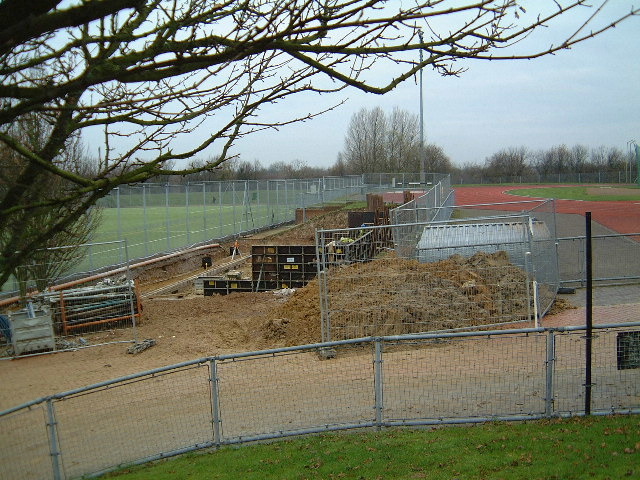 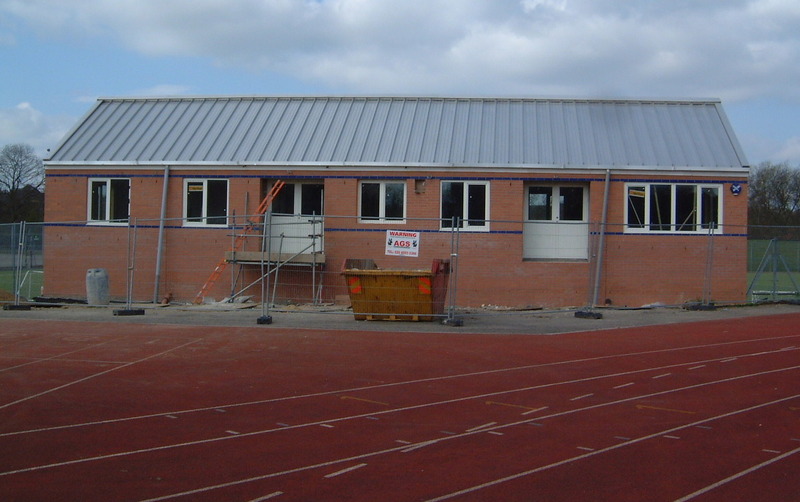 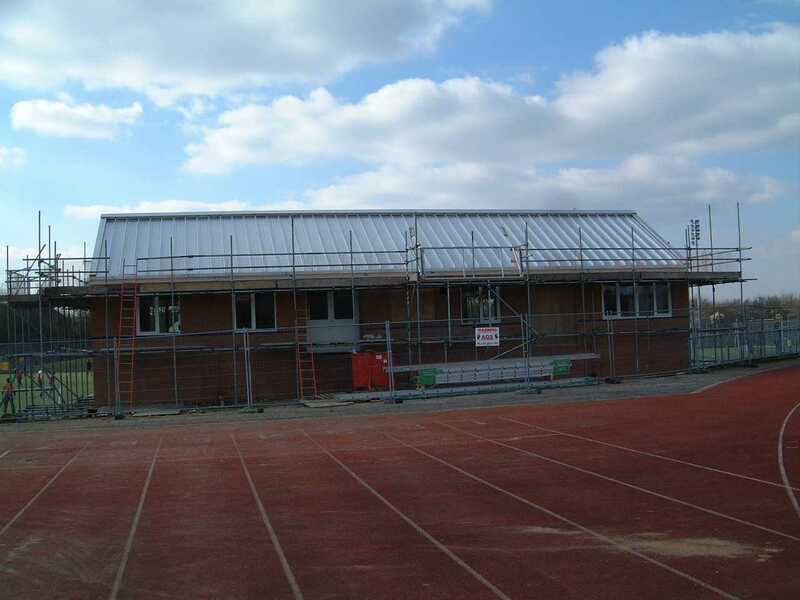 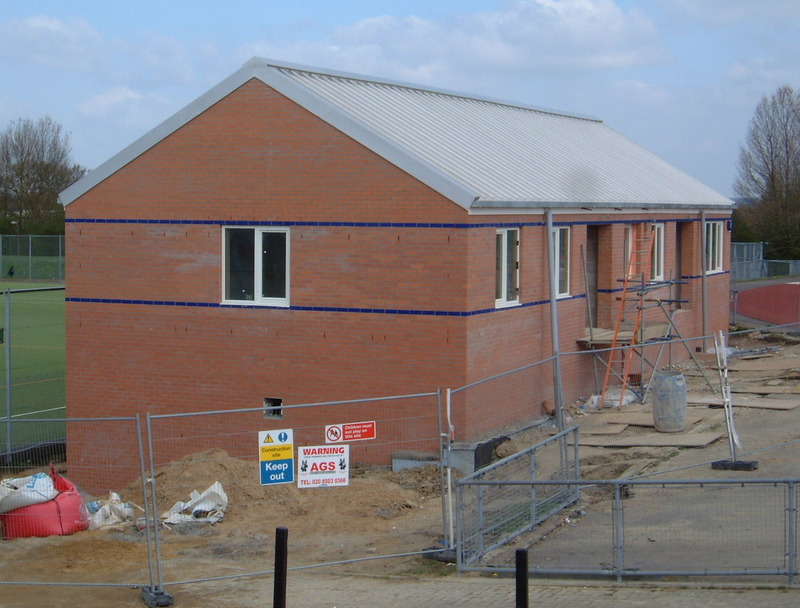 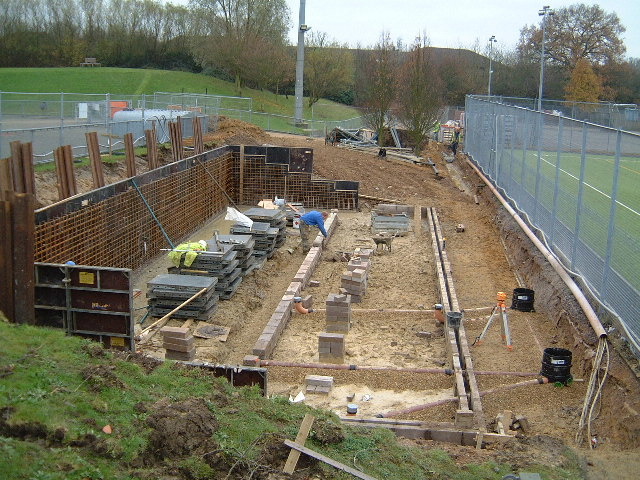 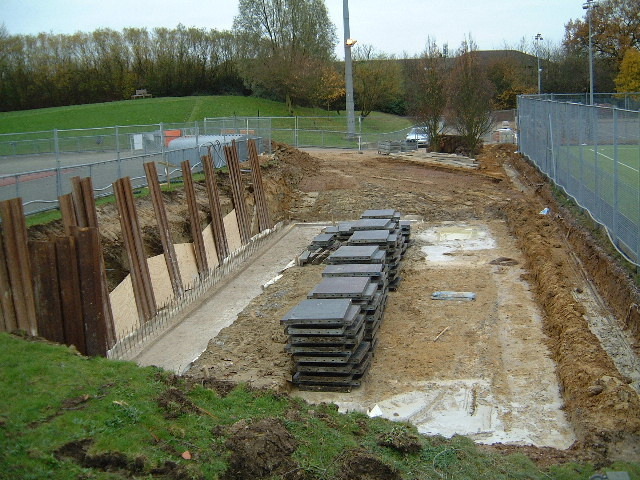 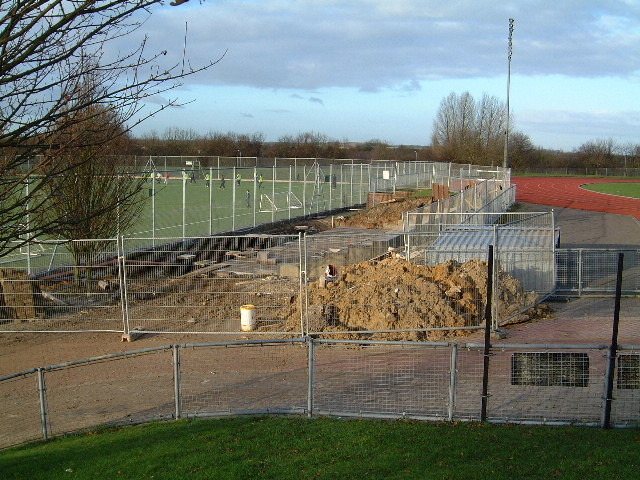 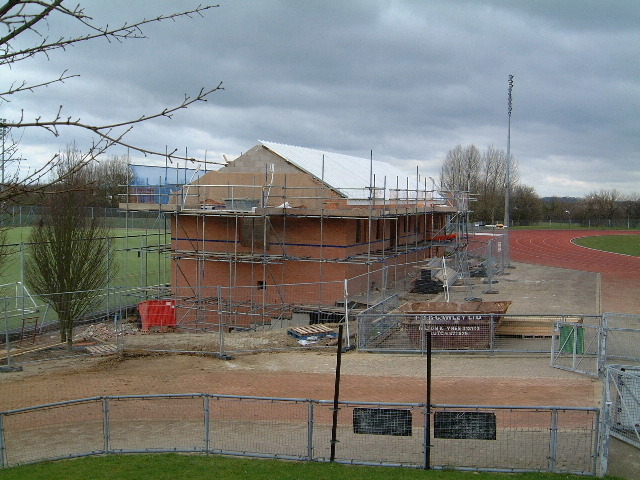 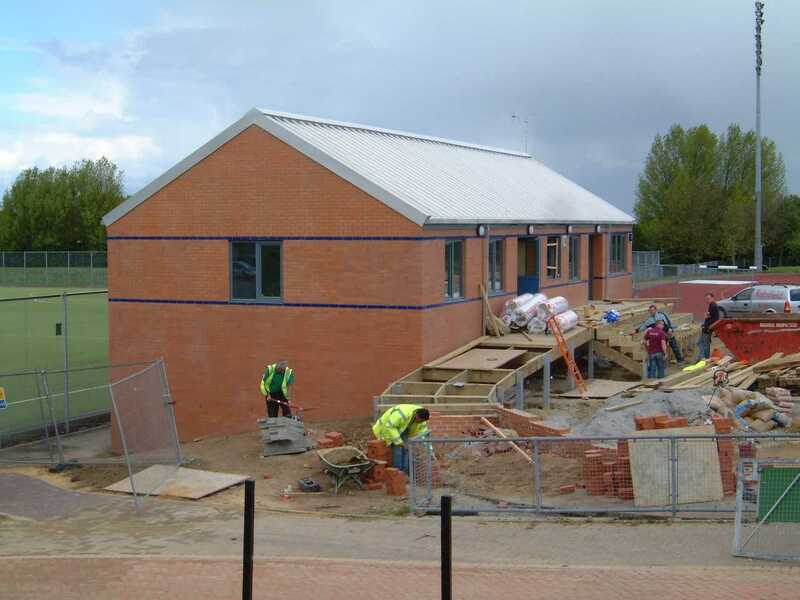 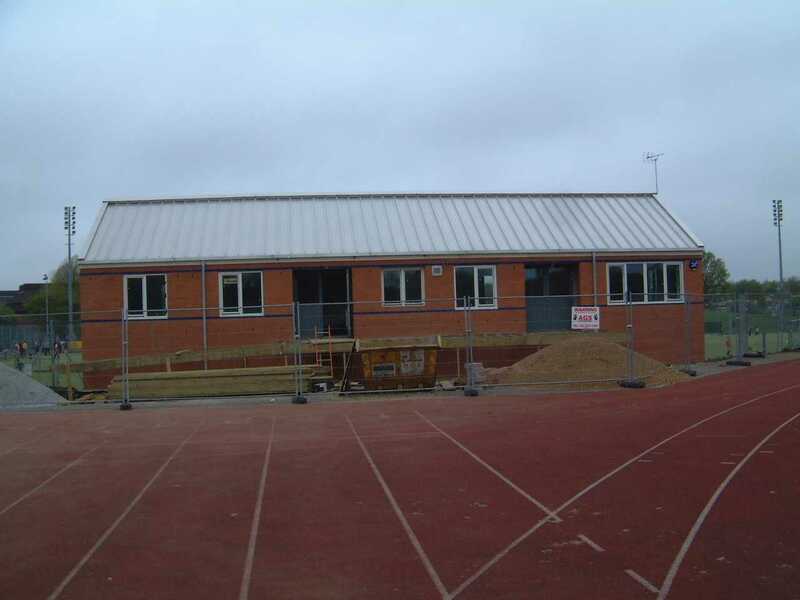 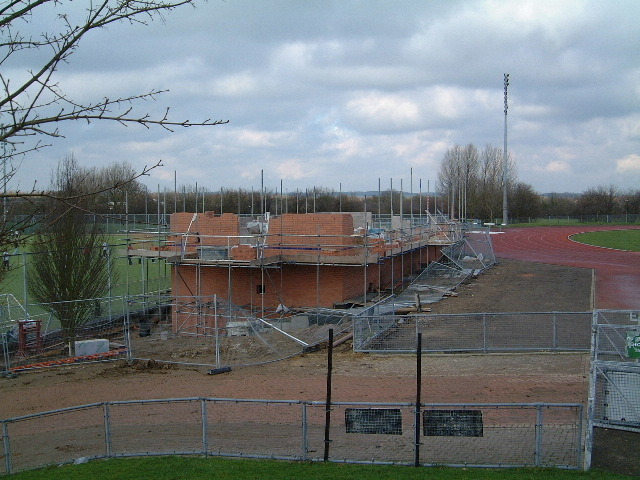 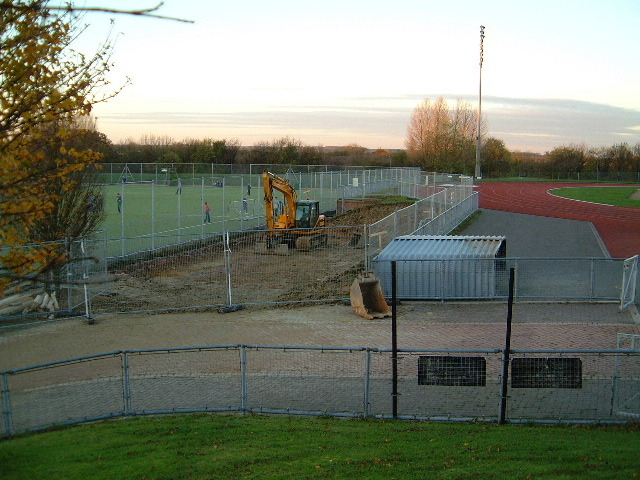 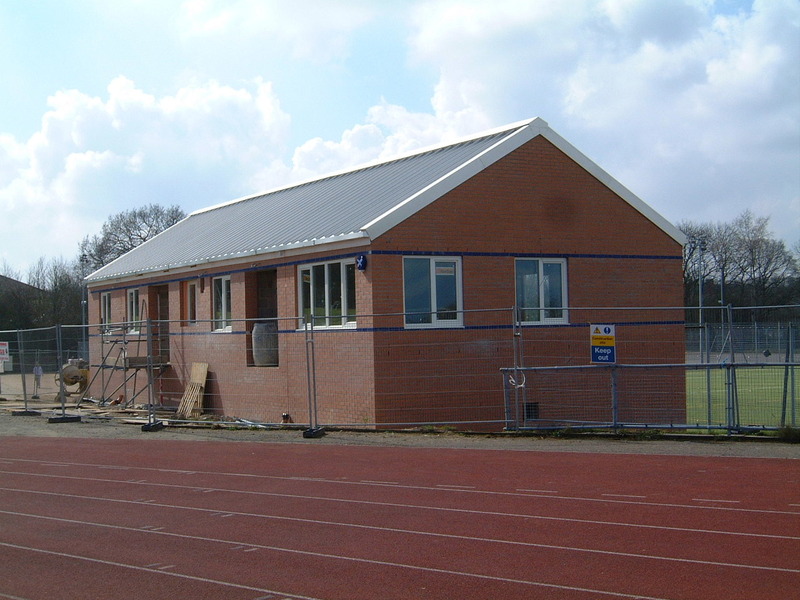 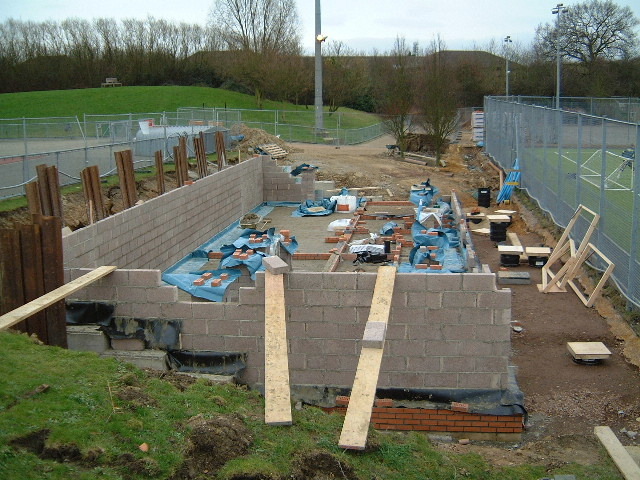 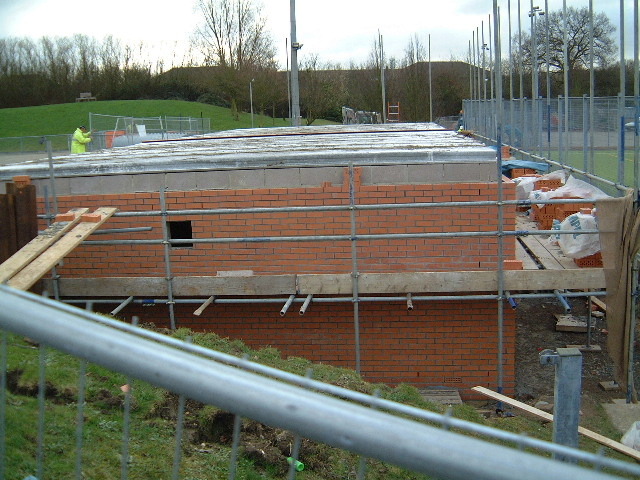 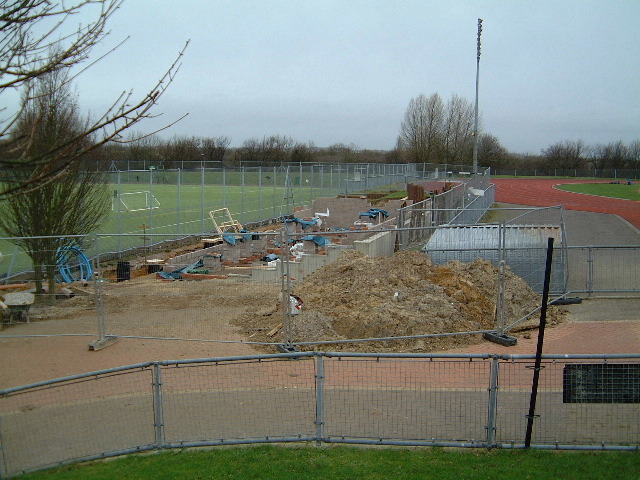 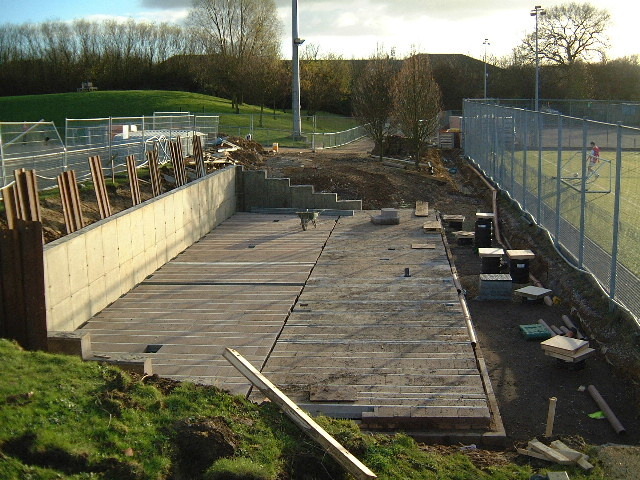 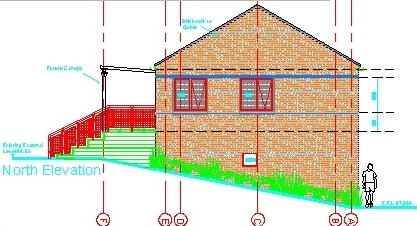 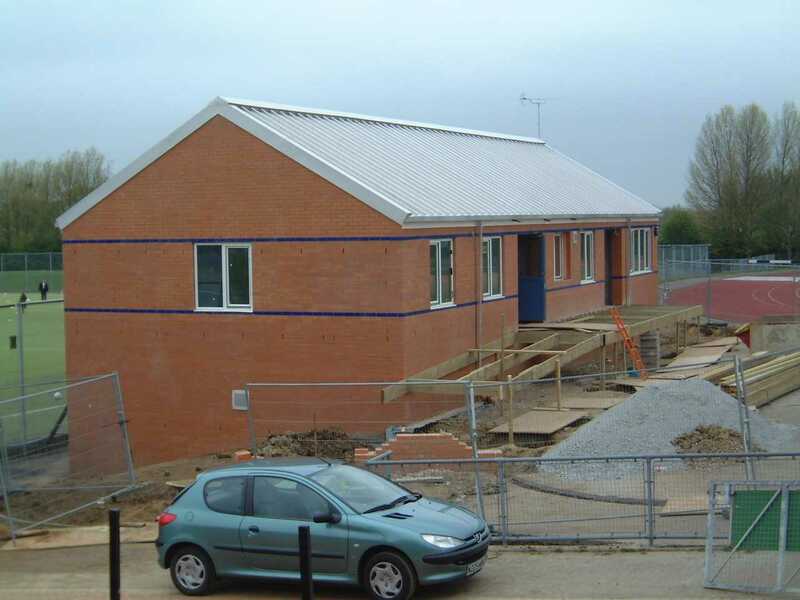 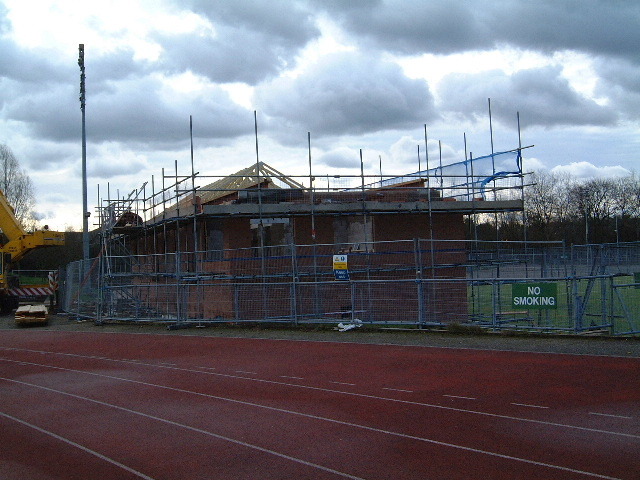 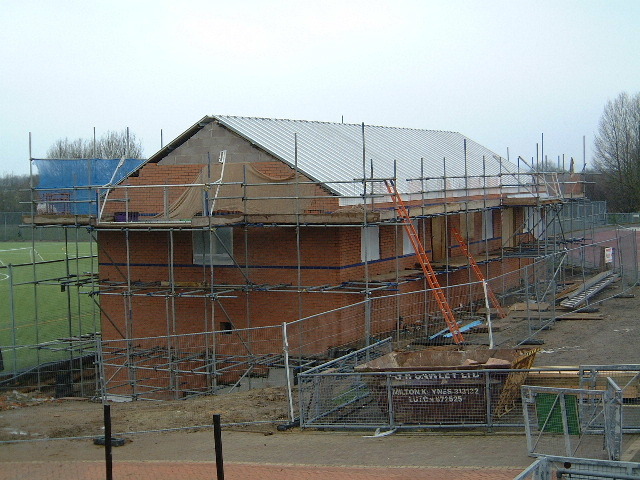 The following images are a record of the construction of the Stantonbury Campus Stadium Clubhouse. 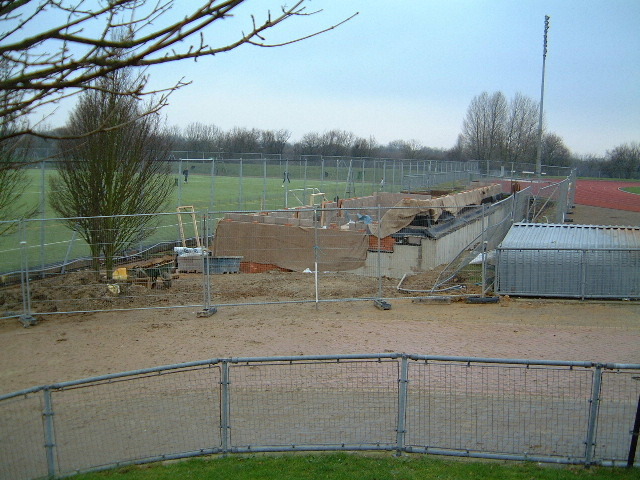 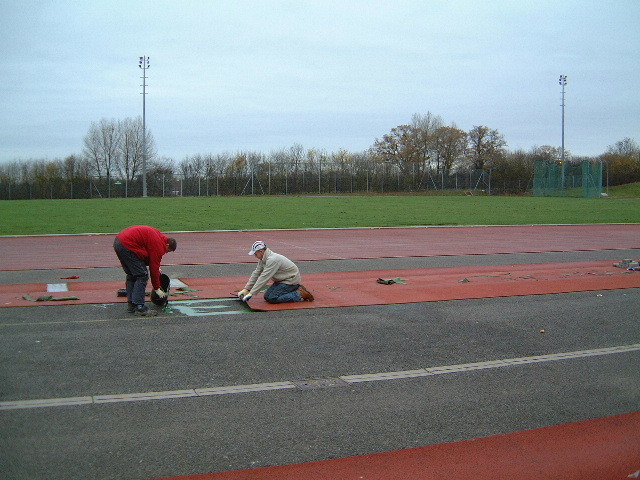 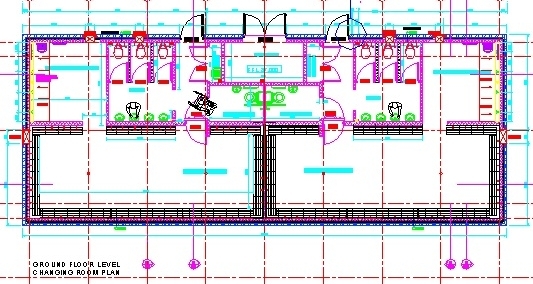 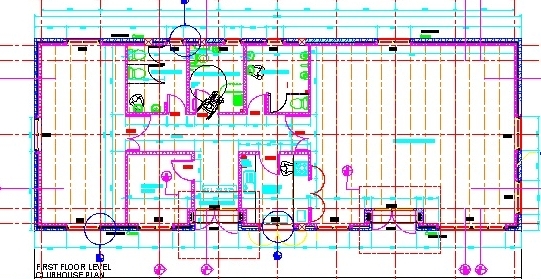 Work started on 1 November 2004 and is scheduled to finish on 15 April 2005. 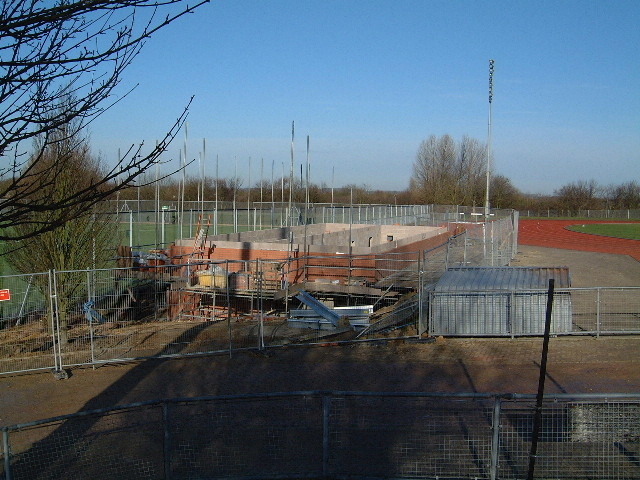 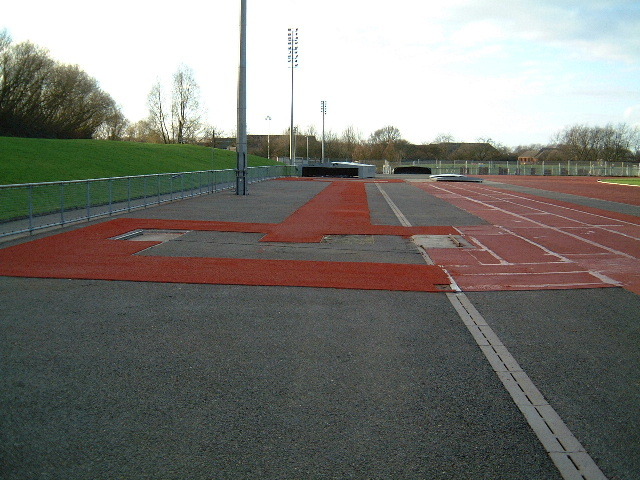 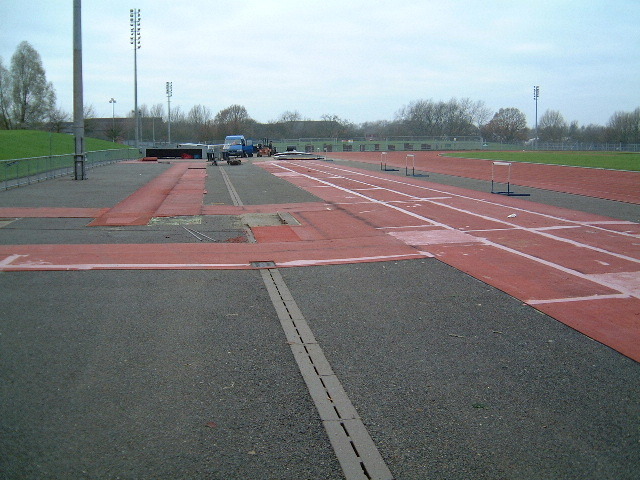 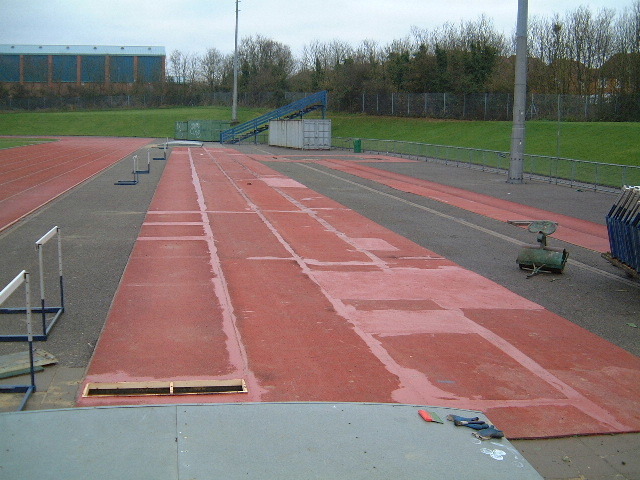 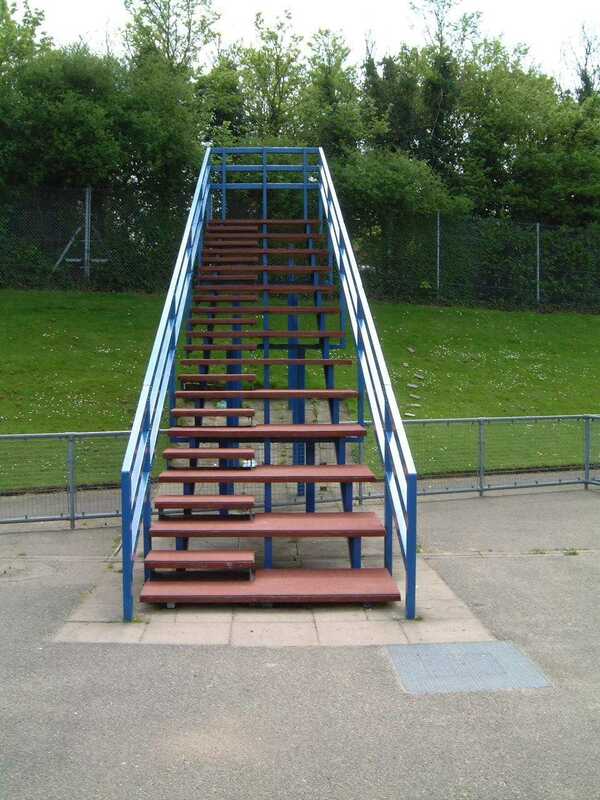 Update on April 10: The scheduled finish has now been put back until 6 May 2005. 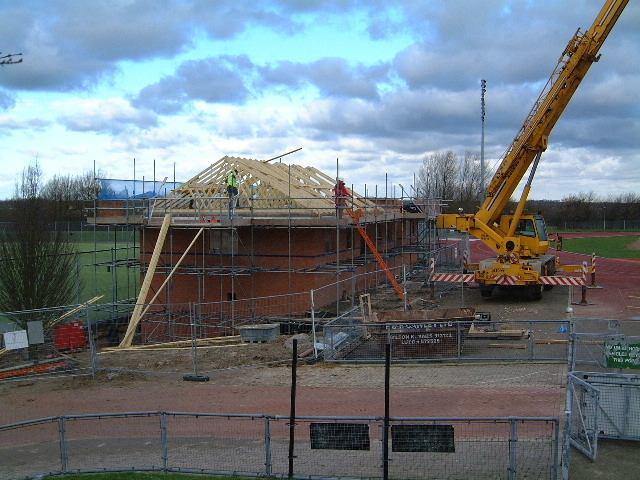 February 12, 2005: From the gate; From the water jump; From the front; The roof trusses go on. 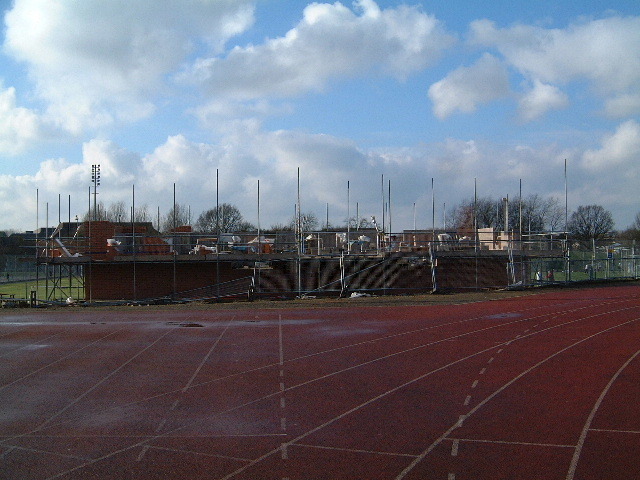 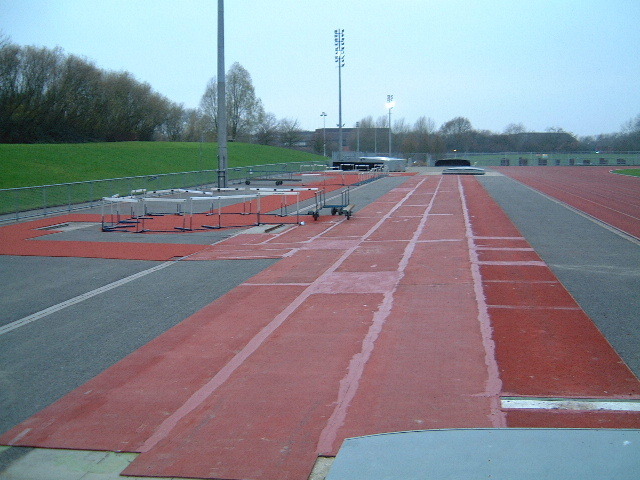 February 20, 2005: From the gate; From the water jump; From the front; The roof goes on. 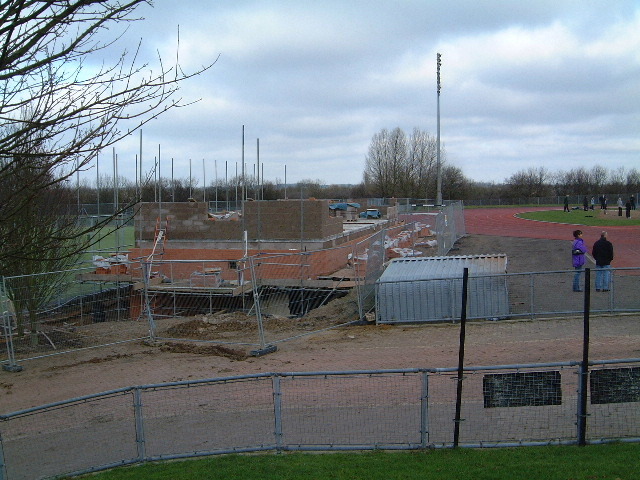 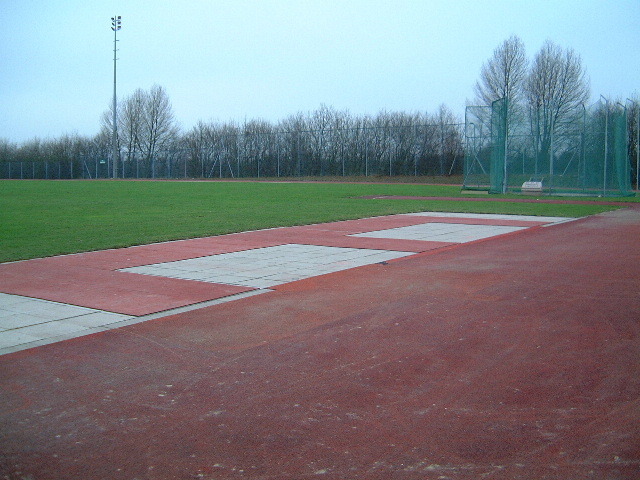 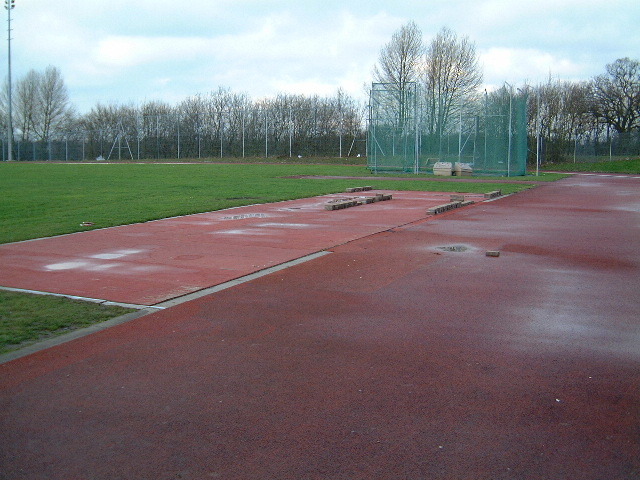 February 26, 2005: From the gate; From the water jump; From the front; The windows go in.